Two separate studies of the impact of time-over-distance cameras (also known as ‘section control’) in Belgium and Scotland have shown considerable safety benefits. 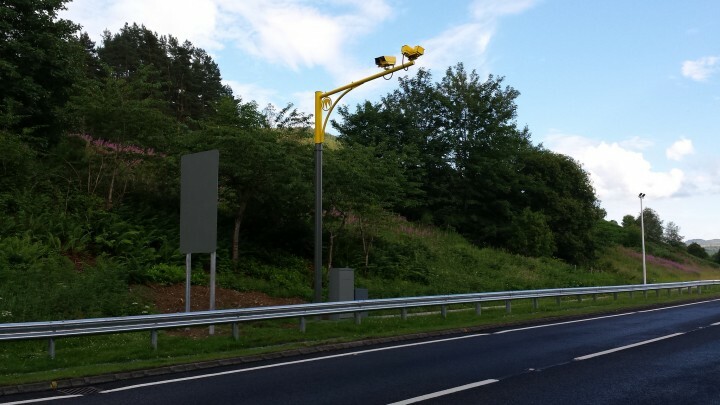 According to the Scottish data from a system installed on the busy A9 highway, excessive speeding – where drivers were tracked travelling at more than 10mph above the speed limit – has fallen by 97%. In Belgium an impact assessment by TM Leuven of a system installed on the E40 motorway found that collisions were reduced by some 15%. The researchers also found a ‘spectacular’ drop of 25% to 30% in the speed deviations of vehicles using the road – implying a more stable traffic stream. The researchers concluded that the system has a high benefit-cost ratio and recommend extending it to non-motorways such as city ring roads and built-up areas.